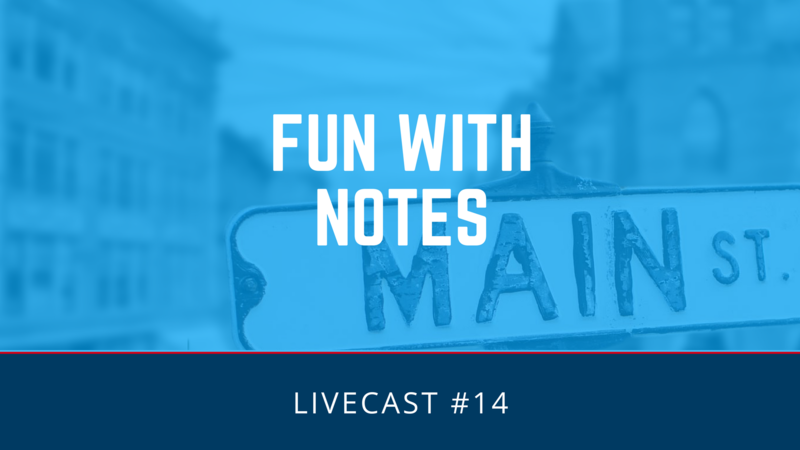 Discover why investing in real estate mortgage notes is on of the best strategies to build wealth without the headaches of tenants, toilets, termites and trash. Ron Happe:	Good morning everybody or, good afternoon depending upon where you are I guess. I'm on Pacific Time. It's 10 o'clock here, and we're ready to go. I thank you guys for the patience of getting this thing started, and I really wanna thank everybody for all the well wishes for my wife. She's doing pretty good, and things are progressing very well. So thank you ... We're very happy to be here. And, getting this ... livecast up and running. My name is Ron Happe. 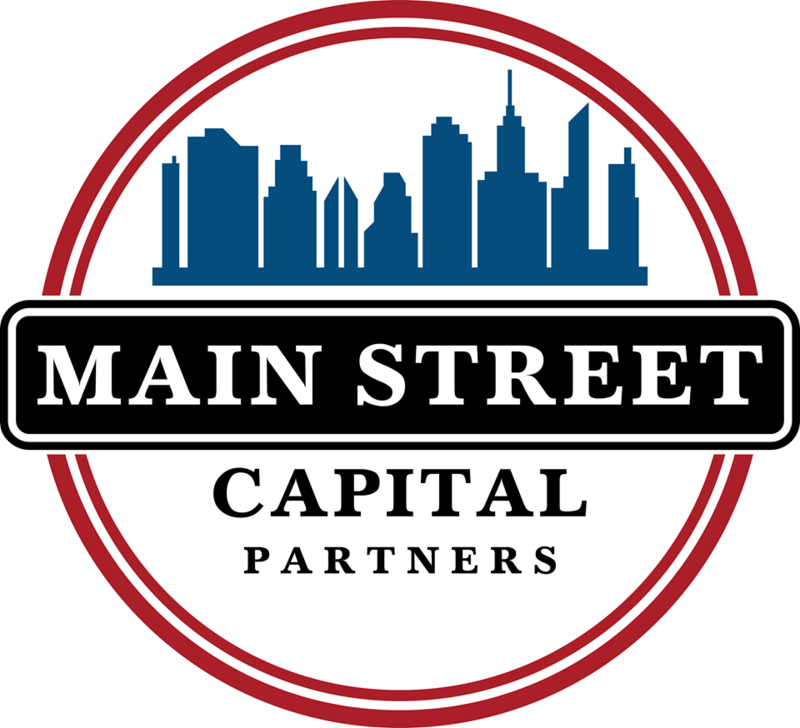 The name of our company is Main Street Capital Partners. And, our intent is to have a ... webinar or a livecast every Tuesday morning. Now these will be ... they will be ... recorded so you can get on our website. And by the way, our website is W-W-W dot Main, excuse me, it's M-S-C-P-I-N-C. W-W-W dot M-S-C-P-I-N-C dot com. So it's just acronym Main Street Capital Partners, Inc. dot com. And, they're gonna be recorded and posted on there. The other thing is that ... I would like to make all of the PowerPoints available to you. And, if you would just text your name and the number 120161, 120161. Text that to 1(858) 598-3980. I'm gonna get that up on the screen for you. And then we'll go from there. 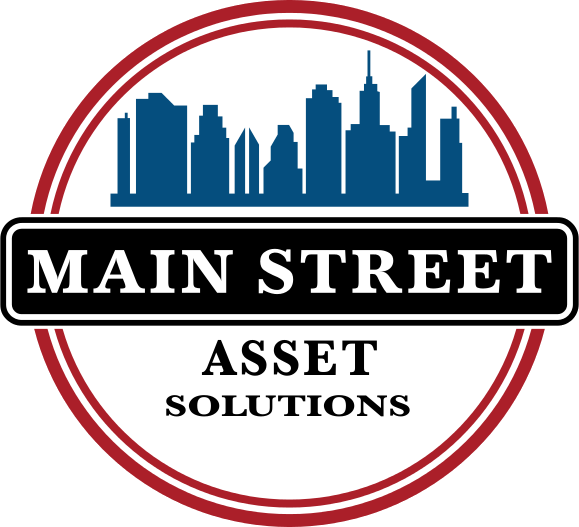 So, Main Street Capital Partners is, we're an investment company and invest primarily in defaulted trust deeds. That's our business. Trust deeds and mortgages. Now we work to get these loans to a re-performing status, and then we either sell the note or keep it for cash flow. Notes are our business. That's what we do. We buy hundreds of notes per month. And, we own and buy both first and second mortgages. 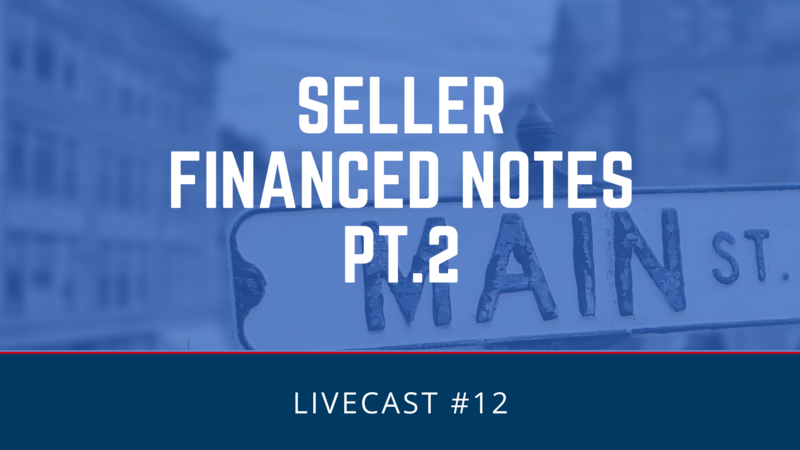 We buy both performing and non-performing loans, but our primary emphasis is buying non-performing loans, getting them to rework, and keep the homeowner in their home, and then either sell those notes to investors looking for passive income or keep those notes ourselves for cash flow. Our team consists of our President, Krissie Jones. Krissie has an MBA in Finance and 10 years experience working with a, as a Vice President of an international investment banking firm. Tyler Happe is a licensed California attorney, very experienced in private placements, SEC regulations, Dodd Frank adherence, the Fair Debt Collection Practices laws, and is active in the business and also has a law firm, as a partner in his law firm, Happe Reid, which is primarily a real estate and ... SEC adherence law firm. And me, the CEO. I'm a licensed real estate broker. I have an NMLS endorsement, and I've got 40 years of business ownership. I'm an old guy. And, I've owned 10 companies over the course of those 40 years. Two of them have luckily traded so, I think we have a real great staff to assist you in learning this business and to help when you get involved. In addition to the three of us, there, we do have a Transaction Coordinator. We have a Pricing Desk Manager, a Trading Desk Manager, an IT Manager. 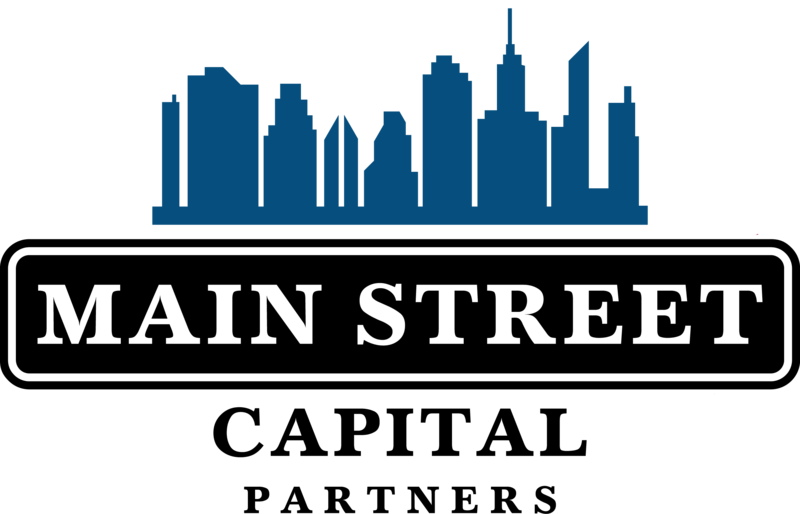 We also have a Loan Broker on board to assist us in doing the more like 1023's, doing Hardest Hit Fund's, and so on and so forth. So, in addition to that, then we have an Asset Manager, or we have Asset Managers, that do our workouts for us. And they're pretty much overseen by our Vice President and COO, or Chief Operation Officer, and Servicing Director, Ingrid Maddox. So, I'm sure over the course of these Tuesday meetings, you'll learn and hear from everyone. Over the course of our Tuesday meetings, this is what we hope to cover. And this will expand and have some subplots to it as we go along. But, first, we wanna kinda share with you why we think these notes investments are such an exciting investment vehicle. Like to share with you a little bit today about what we think the future holds for this business. Let's say the short-term three to five years. We're gonna try to convey our absolute love for this business to you. We're gonna help show you how to purchase, whether you wanna purchase single notes or portfolios or pools of notes, and how to purchase them at a discount. 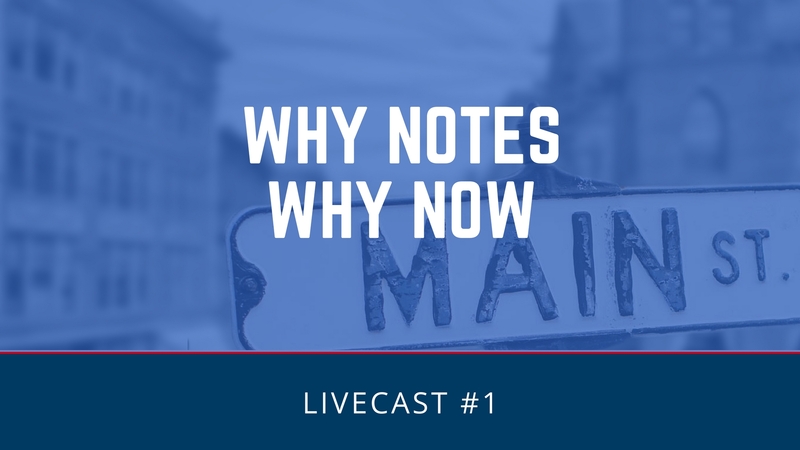 We would like to show you the investment potential of notes, be it firsts or seconds, be it performing or non-performing. We'd like to show you how to purchase non-performing notes and provide the homeowner with a chance to stay in their home by providing them things that banks, the traditional banks, the banks that made the loan in the first place, are either unable or simply unwilling to provide. 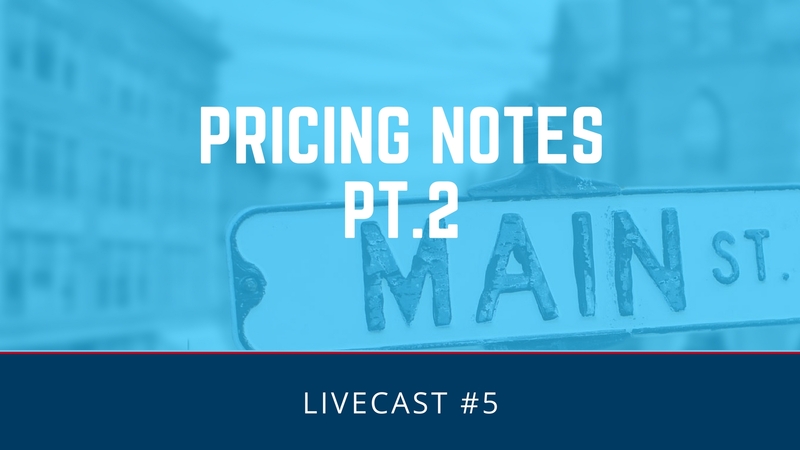 We wanna show you how to capitalize on the purchasing power of notes. What can you do with a note after it's performing? Some of these things that are available to the investor are really kind of disguised and unknown, and we'd like to share some of that with you. We'd like to show you how to become a note investor and receive passive income and no BYOC office work whatsoever. And then, Tyler's gonna spend a lot of time with you on the raising capital issues, the Securities and Exchange Commission, the Regulation D, how to do a private placement, how to manage your attorney when doing a private placement, and what other opportunities are available out there for you to get involved in raising capital to buy notes with. So, we're gonna do it every Tuesday at 10 AM Pacific. I'm gonna try to hold the teaching part down to 30 to 35 minutes. We're gonna have a 15 minute, probably every week, a 15 minute question and answer period. 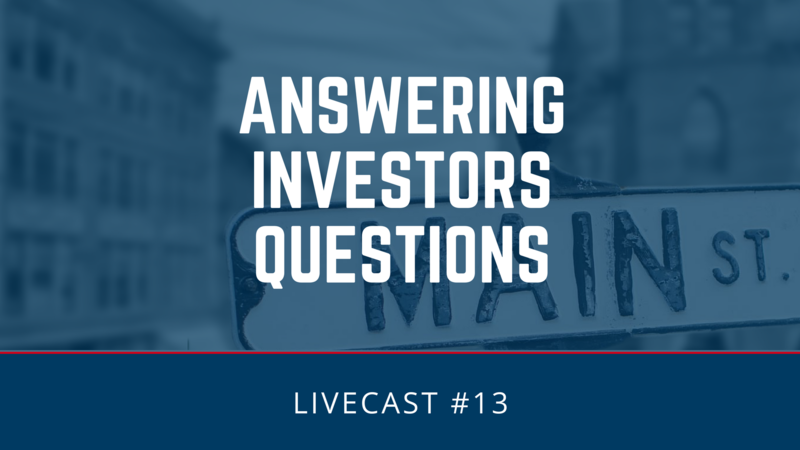 And during the week, if questions pop up as you're trying to learn or do this business, just please send them via email to info at M-S-C-P-I-N-C dot com. Info at M-S-C-P-I-N-C dot com. And, I would lastly ask you to do one thing and that's leave your ego and your pride at home. Please don't feel embarrassed if you don't know anything about this business and please don't think you know everything. I have been in this business full-time since about 2004, and I attend and buy just about every educational product out there. And I always figure if I ... can learn one thing. If I only learn one thing from each of those seminars, it will pay tenfold in this business. And that has proven to be true. So, please don't make the mistake of thinking you know everything and then especially once you are in this business, let your ego rest when you're talking to homeowners. Make a homeowner feel like you're on the same plane as they are, that you feel their pain. Don't act like a debt collector. You wanna be a friend of the homeowner. So, let's get started. And the first thing I'd like to do is I'd like to get started with kind of giving some definitions on what the, a couple of terms, three terms especially that you're gonna need to know to get in this business. Now, I know that on here, we have a number of people who are experts in this industry. Now we also have a lot of people who ... are interested in the business but aren't knowledgeable yet. And, we have to start this kind of at even footing. So, I want to give some basic instruction and then I'm gonna get more involved as the weeks go by. But first ... first thing you have to know is what is a promissory note. Well, a promissory note is simply a promise to pay that a borrower makes to a lender. And if the ... promissory note is written correctly, it becomes a negotiable instrument. It can be traded or sold just like an automobile can or a stock can. And the market is huge. We'll cover that in a little bit. Now, unlike just an ordinary promissory note, a promissory note written on real estate is secured by that real estate, that is, there is a piece of real estate backing that ... note. And that can be either in the form of a trust deed, a trust deed, or a mortgage. 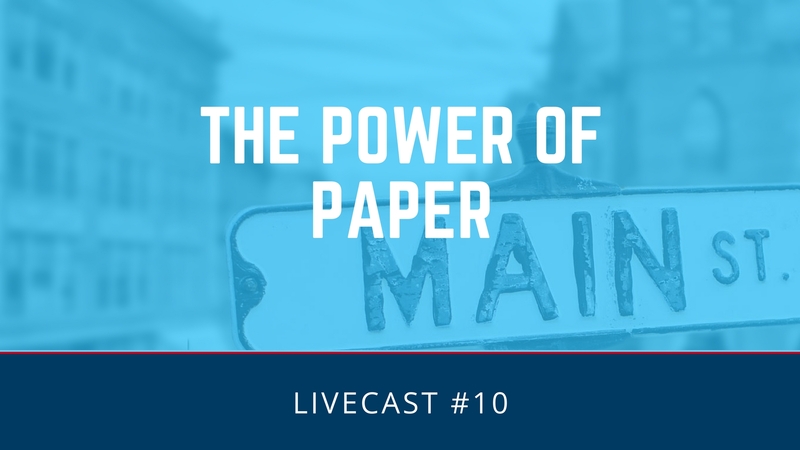 Now, while we're gonna probably in the course of our discussions use the terms interchangeably, we have to know the difference because they have an impact on the value of a note. A trust deed, in that case a borrower, the borrower of the ... loan or the owner of the house gives a deed, a trust deed, to a trustee. And that deed allows the trustee to sell the property, if the borrower defaults and the trustee has done a certain, a certain chain of events that are required. Now, that can take place in as little as 21 days. In California for example, the laws dictate what has to be done for a period of 111 days. So, a trust deed, because the trustee has the right to sell the property without going to court, can go by pretty rapidly. Now, the mortgage on the other hand, requires an actual lawsuit to enforce the payment of the note. So, a ... a borrower must be taken to court. The lender has to file suit, and the court will allow them to take ... will make a judgment foreclosing on the property. And as you can imagine, that can take a long period of time. In some states, foreclosure takes as long as two to three years. So, when you are valuing a note, certainly wanna take that into consideration. Now, the difference between a trust deed and a mortgage are state-regulated, so some states are ... some states are ... trust deed states and some states are mortgage states. About 28 states are trust deeds, and about 22 of them are mortgage states. And so when you're buying a note, take that into consideration. How long is it gonna take you to get your money or to foreclose, if necessary? So, why do we really wanna invest in trust deeds or mortgages? Well first, they are secured by real estate. Unlike a ... a loan, just a promissory note, an unsecured loan, these loans are secured by real estate and give the lender a right to take the property back. 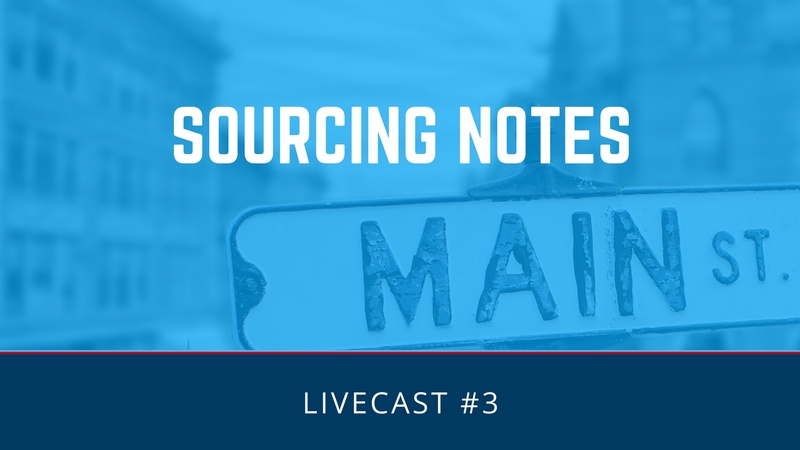 They can have very predictable high returns, and we're gonna show you a couple of those today to show you what kind of returns are available in the note industry. And, they can provide you with a stable, passive monthly income. Absolutely great for IRAs, self-directed 401K's, retirement accounts, and a lot of people just use them as regular investment accounts and reinvest the monies as they come in on a monthly basis. So ... one of the big benefits of note investing is that you become the bank. You as a ... buyer of real estate notes, can actually be buying assets just like the big boys, just like the hedge funds, the REITs, the, the private equity firms that are buying, utilizing billions and billions of dollars. You can buy these same assets as the big boys buy. And, why would you ... wanna reinvent the wheel? This business is a one trillion dollar business. It ... The big banks have been doing it since 238. They've been trading mortgages back-and-forth. They've been selling to private investors. They've been selling to hedge funds. And they've been doing it for years and years and years and doing it, making huge profits. And now you can get into the same business and actually, you have an opportunity to do even better as a percentage-wise than the banks do. So, why would you wanna be the bank? Well, the biggest reason, if we could take a look at, is profitability. So, the ... the bank ... If you take a look at the ... skyline of any major city in the United States, or actually if you took a look at the skyline of any major city in the world for that matter, you're gonna find that the most opulent ... buildings in town are banks. They're either banks or they're financial institutions that derive the largest portion of their profit from real estate finance. Why don't we wanna do the same thing? The interesting thing is is that while these banks are profitable, we don't wanna be like that traditional bank because the traditional bank, they see the mortgage and trust deed defaults as a huge, huge liability, and we see them as an asset. Why are they an asset? Because we can utilize them to make a higher than average return. So, I'd like to discuss just briefly how we got to where we are and why the opportunities that we have today exist. First, we're all familiar with the big real estate run up from, let's say, mid- to late-90s to end of 2006. As you can see, the ... red line that goes up, straight up, that's approximately 2000, the year 2000 to the end of 2006. And you can see what happened to home values and prices. So, what happened here was that banks were very ... eager to loan money on real estate. And when they did, they did some really creative, I guess another word would be stupid, loans. They had, they were negative amortization, they were interest-only, they were ... adjustable rates with adjustments that didn't take place for a long period of time. There were just all kinds of ways that if you fogged a mirror, you could get a loan. Now, when the people that bought these, or got these loans and bought these houses, when they got in trouble, and everybody knew they were gonna get in trouble, when they got in trouble, they simply at this time, they just refinanced. And they were good for a little while longer, and everybody just absolutely knew that the house was gonna grow in value. Then they could refinance again when that negative am loan, turned into a fully amortized loan or when the adjustable rate adjusted to the point they couldn't afford to have payments anymore, the home value had, would definitely go up and they would just refinance. Well, in 2007, that Real Estate bubble burst. And that bubble bursting created what we, what I absolutely personally believe is a once-in-a-lifetime opportunity in non-performing notes. And that's the business that we're in and what we're gonna try to teach you. Now, that created, this bubble bursting created another scenario and that is, the banks consolidating. If you'll take a look at this ... chart here, you'll see on the right side are four banks. This is what's left. Four banks are the result of the consolidation of the 37 banks that are on the left. So over the course of these years where on this list on the left, you're gonna find things like Wachovia, Countrywide, Chemical Bank, Bear Stearns. Some of the names that you have heard that have just imploded, and they were consumed by these big banks. The banks on the left had all of this bad debt. Mortgages that were uncollectible. They just couldn't collect them, and so the banks on the right purchased these banks with the bad debt, and they purchased under an agreement called loss-sharing. Well guess who gets to share in those losses. That's right, you and I, the taxpayer. So, the banks on the right bought the bad loans, and agreement was made that we would help ... them by absorbing the losses that these banks, that the banks they acquired had, and the taxpayer would loss share in those. Well that created another opportunity for the ... banks to get rid of these non-performing notes. So, what is transpired is the banks sell these portfolios of bad loans, usually in pools of 50 million dollars and up. And they sell them to large hedge funds. These hedge funds and a portfolio of bad loans, may include auto loans, it may include credit card loans, it could include all kinds of bad debt. We're interested only in the mortgage and trust deed debt, but there's a lot of people, lot of big funds out there who buy nothing but credit card debt. So what these hedge funds do is they buy these 50 million dollar pools, and then they ... cut them up. Make smaller pools. They may make a small pool of ... mortgage investments, and that's where we come in. We buy from the hedge funds that have pared them down. And we also buy from smaller regional banks that we call on a daily basis. Our goal is to get them to re-performing status, and then either sell them or keep them for cash flow. So during the course of our meetings on Tuesday together, we're gonna discuss all of this information ... kind of we'll expand and subplot each of these. These are some of the opportunities that you would have to exit a note. 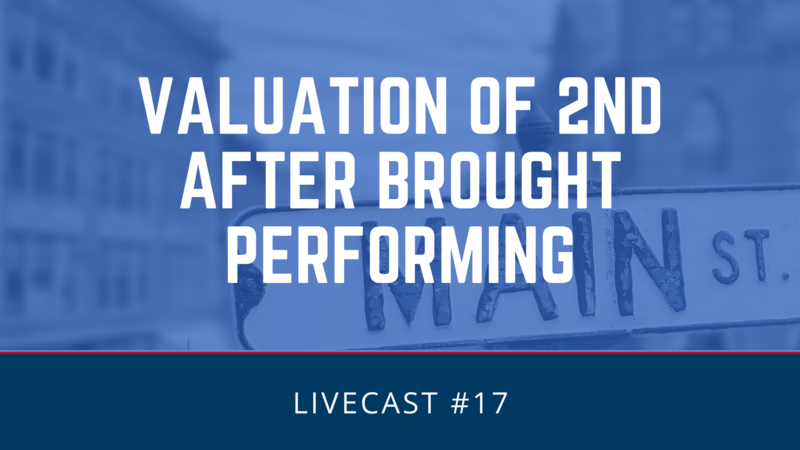 One would be to sell immediately ... to another investor who's looking for a non-performing note. You can contact the buyer and possibly get a discounted payoff. We'll show you how that works in just a minute. You can do a workout. Get the homeowner making monthly payments and once the monthly payments are being made, we can then go and sell that performing note on the open market to an investor. We can do the same thing, it'll work out with a homeowner and actually hold that note for cash flow. We'll also show that. And ... if, at times, the homeowner is just fed up, they want out, they don't wanna do anything, they just want to be done with this, we can agree to help them do a short sale. We can accept a deed in lieu. That's where we become the owner of the house, in lieu of foreclosing on it. And then in some cases, especially cases where the homeowner's already vacated the property, we may be in a situation where we have to foreclose. Now we don't like to foreclose. We don't do it very often, but there are times that we have to. So let's give a couple examples here of how you make money in this business or how you get a yield. The first would be the discounted payoff. In this case, we bought a, a second trust deed that had an unpaid principal balance of $43,509. And, we purchased that note for $16,000, and within 60 days, we had contacted the homeowner and agreed to a payout of $25,000 to settle that $43,000 ... debt. We had approximately $2,340 into the workout, so we profited $6,600 in 60 days, a cash on cash return of 41.6% but certainly a lot higher annualized yield. That's one way to get ... the debt service. Now, that particular homeowner, we educated that they could use proceeds or a loan from their 401K, and then, in reality then, that loan they were paying back themselves so ... And it got a substantial discount. Now, another avenue for exit is the workout and sell. And this is one, this is usually our primary focus. And, in this case, we purchased a unpaid principal balance second for $53,500. It had not been paid for 29 months. The payment was $522 a month, so they owed $15,138 in back payments and ... penalties and interest. So, we agreed to let the homeowner pay $3,000 of those arrears and if they would pay us $3,000, we'd wipe out the remainder of that $15,138. And, they would begin paying us $375 a month until the balance of $53,000 was paid off. We ... had approximately $1,800 in this note, servicing it. We collected seven months of payment of $375, and then we sold the note to an investor for $16,875. We had $400 in expenses in selling the note, so we had a profit of $8,600 or a return of 74%. Now, some very interesting opportunities arise when you're using a retirement fund or an IRA or a 401K. Here's a good example. A UPB, this is a unpaid principal balance of $76,400 that we paid $12,225 for. We had expenses of $1,600 in servicing this debt, and we had a monthly workout payment of $500 a month. That's $6,000 a year. Year in and year out, we're gonna get $500 a month. That's a annualized return on investment of 49.1%. We're gonna get that year after year after year. So, looks pretty interesting. But the major question that we get from everybody is ... what's the future hold? How long is this opportunity gonna last? And while we don't like and can't predict the future, we can certainly project it based upon some facts. What are these facts? Well, this chart here shows, on the far right side, the ... small black column there represents the REOs owned by banks today. That's the total amount nationwide owned by all banks. Everything to the left of that small ... column there are delinquent mortgages that are headed toward that black column. There's 25 times, 25 times the amount is delinquent then is already owned by the bank. So there is a huge amount of loans out there that are headed toward default and foreclosure. So, that's just the tip of the iceberg, I say. Why is that? Well this is the same chart only for commercial. Now, if you look at the blue column at the far right, that represents the commercial REOs. However, everything to the left, 5 times the amount that's in that blue column, represents the non-performing, defaulted notes that are headed toward that commercial REO foreclosure. Now, the interesting thing is that this doesn't really tell the whole story. Commercial 5 times is a lot better than 25 times, but there is a story here that's not told by this graph. And that is that the ... mortgage industry, when a ... when a loan is written for a commercial property, typically that loan has an amortization schedule or a payment schedule that is over 20 or 25 years. However, the loan is written so that it becomes due in 7 to 10 years. And we have a lot of these loans that are 7 to 10 years old that are coming due in 2015 to 2017. As a matter of fact, a trillion dollars' worth of these loans are coming due, and they're not gonna be able to be refinanced because they, the properties are worth less than as owed on them. So there is a huge amount of commercial properties gonna be available, and it is predicted that very few of these will go to foreclosure. Those loans are gonna be sold to investors, like you and I, instead of taking them to foreclosure. So a lot of opportunity there also. So, right now ... there are, the mortgage debt in the United States passed $13 trillion in December of 2013. Residential mortgage delinquency is about at 6%. And the banks have to get ride of this bad debt. Freddie Mac has $40 billion worth of loans in a non-accrual status, and they're gonna have to get rid of those loans. New law, new regulation, new banking regulations, Basil III is gonna require the reserve rates, the amount of cash that a bank has to keep on hand, to, is gonna go up. So regional small banks have not been selling a lot of their bad debt. The big banks have pretty much kept up with the pace but not the small regional banks, and they're gonna have to sell these non-performing loans to raise cash to meet their new reserve requirements. And then again, all of this bank consolidation and all the bad debt that they assumed requires them to sell. Another big factor that is in the future, that HELOCS, home equity lines of credits, that were written from 2000 to 2009 are resetting. 20% of those HELOCS are resetting in 2015, and payments on those HELOCS will increase by as much as 50% or more. And it is anticipated that at least 20% of those are in serious, serious danger of default. So, what are the keys to success in this business? Well first, you need to create a source to purchase the products from. You need to have some place where you can get the notes, a reliable source that you can buy them at a discount. 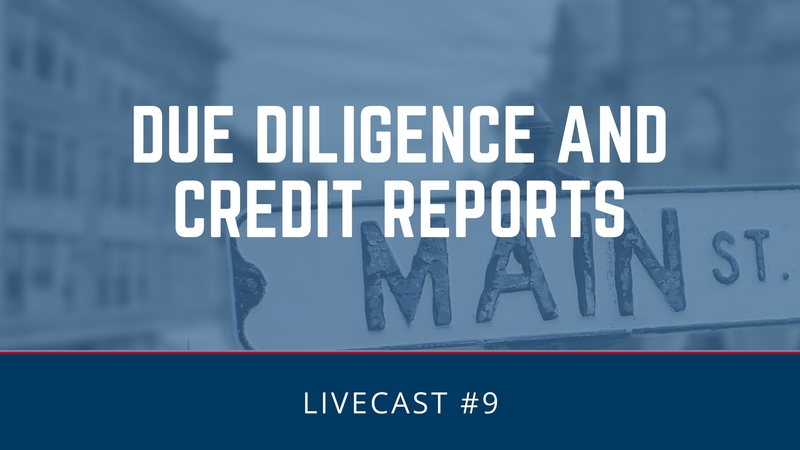 You need the education and the due diligence team to assess each pool or each loan, so that you know that you're paying the right price. You know that the loan is what is, it's presented to be. 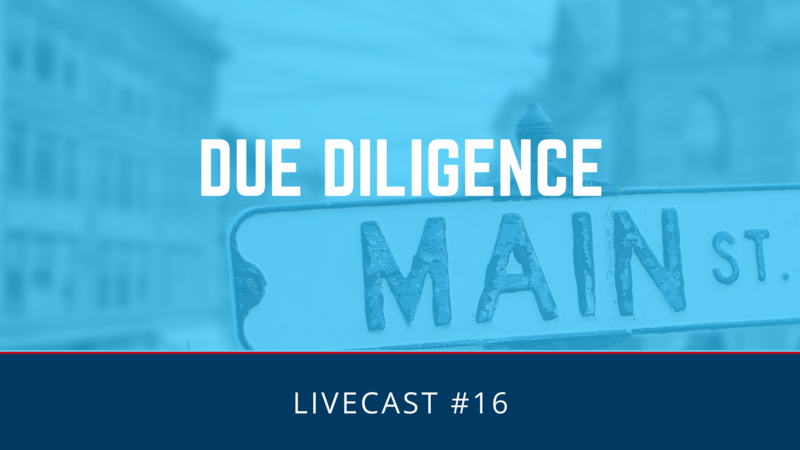 And you need to do this at a very timely manner, so we're gonna educate you on the due diligence process, the pricing model, and so on and so forth. And you need the ability to close. You need the cash to buy the notes. So ... In the coming weeks, here are the things that we're gonna be talking, by the way, if you do have any more questions, just type them in the chat wheel there and we'll try to answer them for you. Or, send them into the info at M-S-C-P-I-N-C dot com. So, next week is gonna be kind of a fun week for us. We're gonna be talking about it's money, not math. And this is gonna be kind of an education on the time value of money. 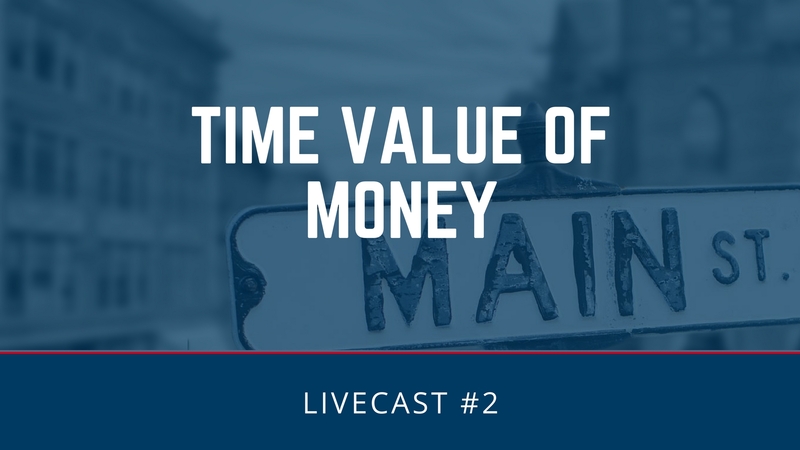 We're gonna be able to show you how you can calculate your way to high yields ... by knowing how to use the calculator and how to utilize the time value of money. We're going to be in the future, probably the week after that, we're going to get into pricing. 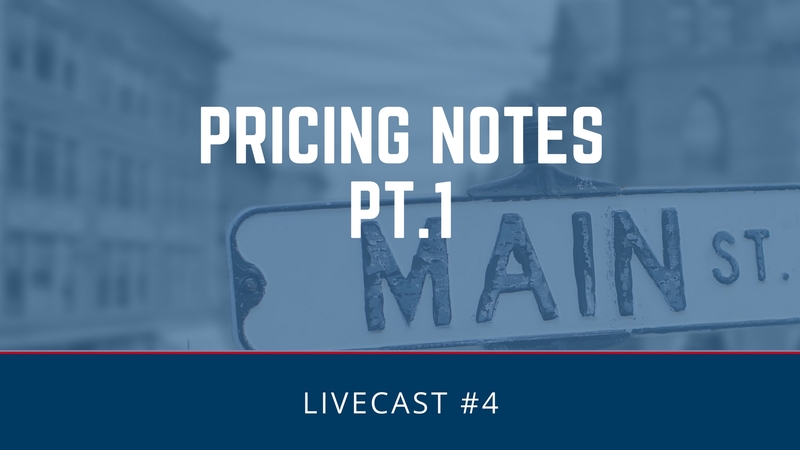 How do you determine the price of a note? We're gonna then get into the due diligence process. What do you need to do? What do you need to know about a note before you buy it? 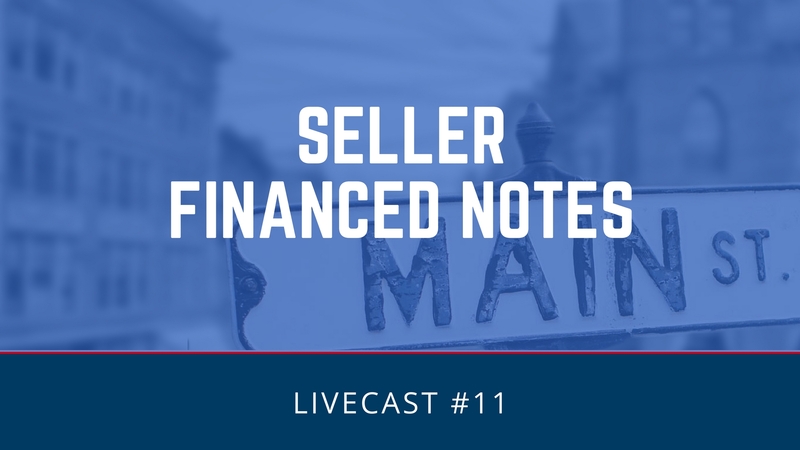 We're then gonna get into the servicing requirements, the servicing being how is the note taken care of, who accepts the payment, what's done with the payment once it's paid, what's an escrow account, how are escrow accounts handled. We're then gonna get into the workouts. How do you work out a note? How do you contact the homeowner? What kind of opportunities can you give them to ... keep them in their home and make it a win-win situation for everybody? And then unfortunately, we have to talk about what can go wrong. What about bankruptcy? What about foreclosure? What about not being able to get ahold of a homeowner? What about dealing with attorneys? What about Dodd Frank? We're gonna cover all of that. We'll also have some guests on that cover the, utilizing your IRA and your 401K in the self-directed avenue. You certainly are able to buy notes utilizing a self-directed IRA and self-directed 401K. We're gonna show you how to achieve passive income. And then we're gonna spend a lot of time on raising private capital, creating an investment fund, the Securities and Exchange Commission and Regulation D and how it applies to you. And, and then in addition to that, anybody that wants a specific knowledge that you could turn onto us, what you wanna see in this program, we would be happy to entertain it and include it. So ... basically, today was an introduction. We are really excited to have you on board. We have people from as far away as New York, east coast Florida, Georgia, which presents some problems of its own, all the way through Hawaii. And, I appreciate all the different timezones. Again, we're gonna try our best to keep it to 30 to 40 minutes, recognizing that you're all busy, but we do wanna be thorough. So, please ... We'd be happy to get your comments on this to get some advice from you on how to handle it. My email address is Ron, R-O-N, at M-S-C-P-I-N-C period dot com. And I'd be open to any suggestions on how to make this good for you. I will tell you that I did do a presentation with a group. I was a guest, and I was told that I'm not a very dynamic teacher. So, I apologize for that. However, if you want a dynamic teacher, go to Tony Robbins. 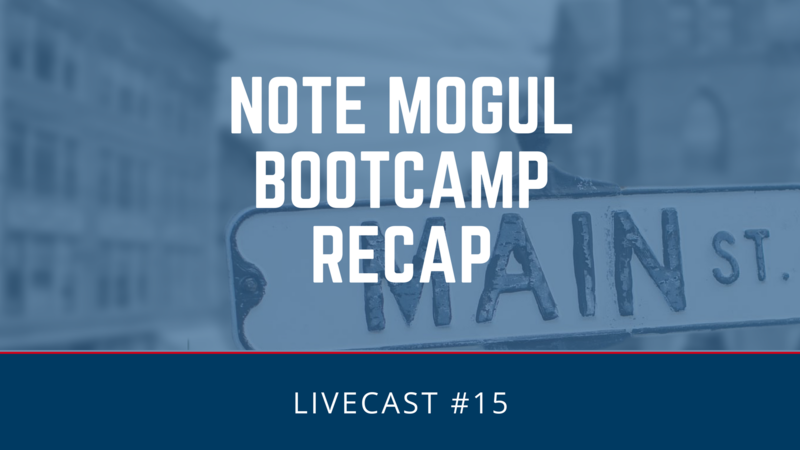 If you wanna learn how to make money in the note business, you can turn in, tune into this. I look forward to seeing you next week, and I also look forward to your suggestions, comments, questions. And, in addition to that ... please remember that a recording of this will be on our website W-W-W dot M-S-C-P-I-N-C period-com.